Shining Rae: My dad picked my name before I was born and decided to spell “Shannin” with an “I” instead of an “O” because it sounded similar to “Shining” when spoken. Rae is my middle name. He said as first time parents he and my mom looked at me as the gift that was a “shining light” in their lives. 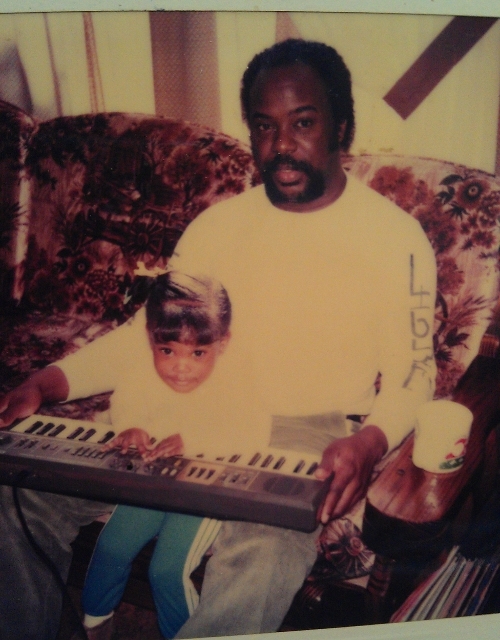 As I grew up and started to show my animated/extroverted personality, my dad nicknamed me “Shining Rae.” He acquired the nickname Tyree “Goldfingers” Watkins from his band mates because he was such a talented piano/keyboard player. Growing up I thought it was cool for a musician to have a catchy stage name. Eventually, I started sharing my nickname with friends in grade school. As I started singing in church and local talents shows everyone adopted my nickname as my current stage name. It’s been history ever since then. BM: You are such a positive person filled with so much “light.” I’m sure you know the music business can be rough. How do you manage to stay so balanced in this industry? Shining Rae: I know God has anointed me with gifts that I can use to make a difference in others’ lives. Once I grew to see my purpose I decided to do all I can to keep my focus on the things that will help me stay on the right path. Although I have faced many challenges as an indie artist, I’ve tried my best to use each learning experience to my advantage by increasing my wisdom and awareness. Keeping my family and sincere friends in my life makes it so much easier to stay encouraged. The best skill I’ve developed is that I can quickly determine the difference between those who want to help me become successful versus those who simply want to use my talents for their own benefit/success. Gifts are meant to be shared, not given away. BM: Tell us about the moment you won the Grand Prize for the Ourstage Artist Access Competition. What were you thinking and feeling? 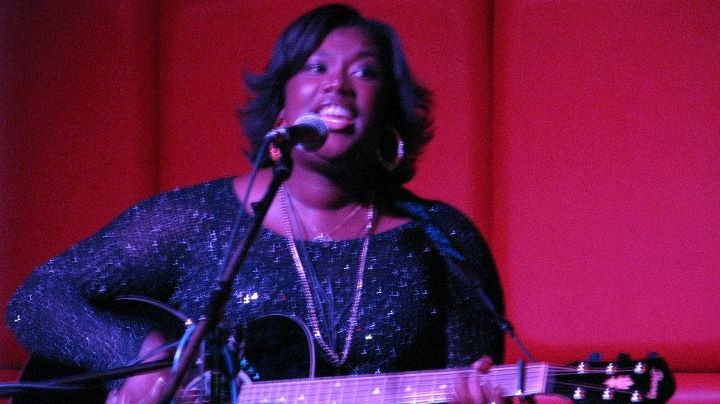 Shining Rae: When Ourstage called to tell me that I was the grand prize winner, the first thing I thought was “this is the open door I’ve prayed for!” My hit song “Dreaming” (voted number 1 by fans) has landed me an opportunity to perform live in New York City and meet music industry giant Bruce Tyler. I couldn’t believe that the same man who’s advised artists including Beyonce’, John Mayer, John Legend, Aerosmith, Lenny Kravitz, The Fray and many more had handpicked me to showcase my talent for him live in NYC. I was overwhelmed with so many emotions. After I got off the phone I had to gather my thoughts before calling my parents to share the good news. I couldn’t believe that I’d gone from a virtually unknown singer/songwriter from a small town of Magnolia, Arkansas to having my music recognized by Bruce Tyler, an industry giant. Overall, I knew I could not miss this opportunity. I started planning everything right away to make the most out of this once in a lifetime experience. BM: Your music is so enlightening. Two of my favorite songs of yours are Dreaming and your newest song titled Sugar. What inspires your sound and your music? Shining Rae: Love of life and all its mysteries inspires me to write. I use my music and lyrics to recreate my real life experiences in a way that people can relate to them. I call my songwriting “painting pictures with words.” I take the good with the bad and try to find a way to tell a story with a “life’s lesson” as the “happy ending.” I’ve always loved writing short stories. Even in college my Language Arts professors always said I had a very distinct/colorful style of writing that appealed to the imagination and always stood out amongst other students. One of my favorite professors said she could recognize my papers by just reading it without even seeing my name on the page. So naturally I tend to put my signature sound in songs. I try to appeal to all five senses in every song I write. If I can get listeners to feel, smell, hear, taste, and see what I sing about then I know I’ve captured the true essence of good music. BM: Who are some of your major musical influences? 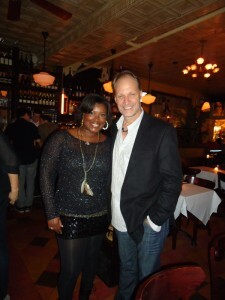 BM: Tell us about your trip to NYC to meet music industry giant Bruce Tyler. 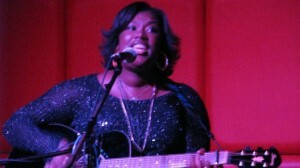 Shining Rae: I performed at R Bar NYC on Bowery 9/20/11 as a featured artist during the Tower of Song event hosted by Kelli King. It’s a well known venue for indie artists to perform and build their fan base. Meeting Mr. Bruce Tyler has been one of the most exciting and enlightening experiences of my life. He was so down-to-earth and wise. I found it heartwarming to be able to share my love of music with Mr. Tyler because I could tell that his thoughts and advice were coming from a sincerely good place in his heart. The biggest compliment I received was when Mr. Tyler compared my diverse sound and musicianship to Alicia Keys, an artist he helped develop. It was so amazing to know that my music is comparable to a major artist and just unique enough to set me apart. 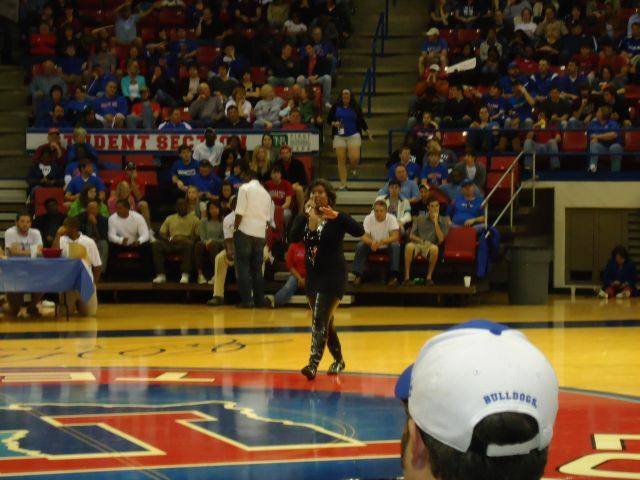 Nothing can compare to the moment I looked out into the audience during my performance and watched my mom, my friends, Bruce Tyler, along with Colin and Alex from Ourstage.com smiling back at me. It felt surreal. Now that the dreams I’ve had as a little girl have started to manifest themselves in my life, I have all the validation I need to see that I’m on the right path. BM: So what’s next for Shining Rae? 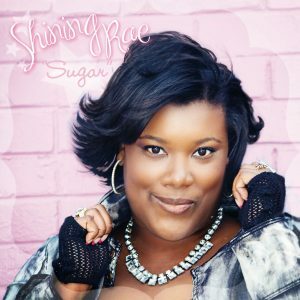 Shining Rae: As of August 28, 2011 I released my newest single “Sugar.” It’s available digitally on Itunes, AmazonMP3, Rhapsody, etc. I’m currently promoting “Sugar” to local radio stations and planning my 2nd college tour. 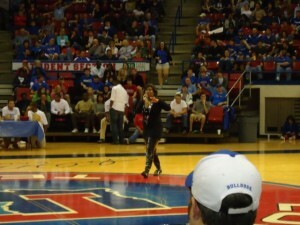 I’m currently open for bookings as I work to increase my fan base nationwide. BM: Please tell us about any upcoming projects you’d like to share. 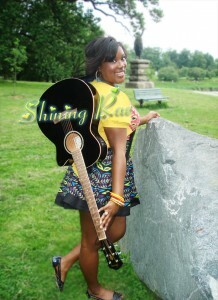 Shining Rae: I am looking for the next “Shining Rae’s Shining Star of Tomorrow” for October/November. Shining Rae’s “Shining Stars” mission is to encourage youth and successful adults to “Give Back to help others Move Forward” and make positive moves to help others enjoy the best quality of life possible. Quarterly www.shiningrae.com features one young person, age 12 and up, that is actively making a positive impact on the world. Anyone can submit pictures and inspirational stories to my website for consideration. BM: If there was one strong piece of advice you could give to other aspiring artists what would it be?